We hold a Home Produce Market at the Wamboin Community Hall on the third Saturday of each month, except July and August. 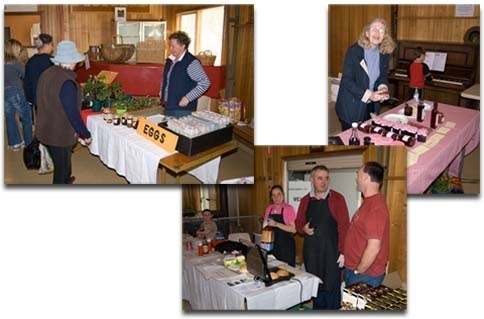 Local residents sell their excess fruit, vegetables, eggs and plants. Home baked cakes and biscuits plus home craft items, jewellery, local honey, scones and cream and hot cups of Wagonga Coffee are also sold. It is a great place to come for a chat and just to see what others can grow and produce in Wamboin.